World of Warcraft: Legion is just under one week away. That’s not a terribly long amount of time to wait, especially when Blizzard have already dropped the pre-patch. A pre-patch brimming with new toys such as class changes, the Wardrobe system and the impending Demonic Invasion event. 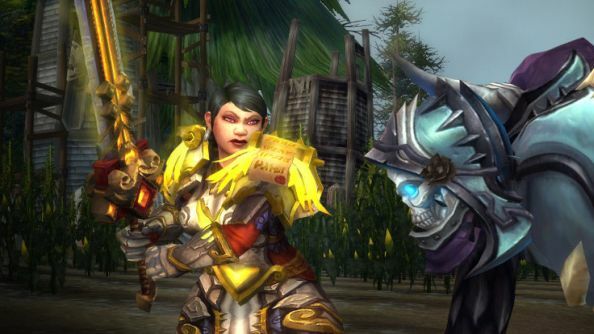 Here’s everything we know about theWoW Legion expansion. But the pre-patch isn’t just the signal of new content, but that of old content leaving the game forever. This guide will both get you as prepared as possible for the new expansion, as well as getting your hands on some precious loot before it becomes unobtainable with the new patch. These “Demonbane” trinkets are not only extra effective at combating demons, but they will also increase in power on your way to level 110. Even at max level — where they stop at item level 815 — they’ll still be your go-to until you can replace them with something better in a Heroic Legion dungeon. To obtain any of these, all you need to do is kill any boss in a Mythic dungeon – every time you do, you will have a chance to get your hands on a random Demonbane drop; don’t worry, there’s no chance to get a duplicate. Mythic dungeons are tied to a character based weekly lockout, so you should do it on as many alts as possible to maximise your chances. Isn’t this the most magically majestic moose you’ve ever seen? 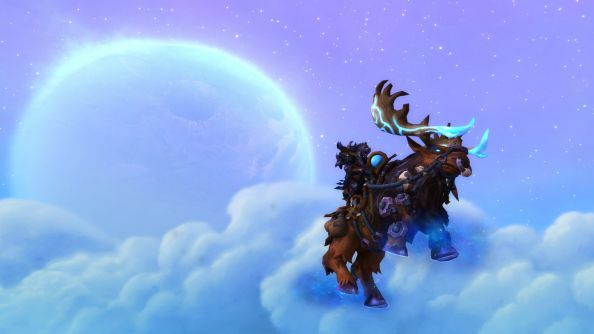 The Grove Warden mount has been highly sought after ever since it was first datamined from patch 6.2.3. But to the dismay of many, the requirements in order to obtain the mount were steep: defeat Archimonde in the Hellfire Citadel raid on Heroic difficulty, and do it before Legion launches. Unless you’re well geared yourself and know a bunch of likewise friends, this can seem like an impossible task. Hope is not lost however. What started as a Twitter hash tag, the Friendship Moose community initiative aims to get as many players the Grove Warden as possible. Often headed by prolific Twitch streamers, groups of overgeared players carry those in need, usually performing multiple runs a night. The Legendary Ring is (naturally) an extremely powerful item; it’s enabled some raid guilds to blow up Mythic raid bosses in less than 15 seconds. 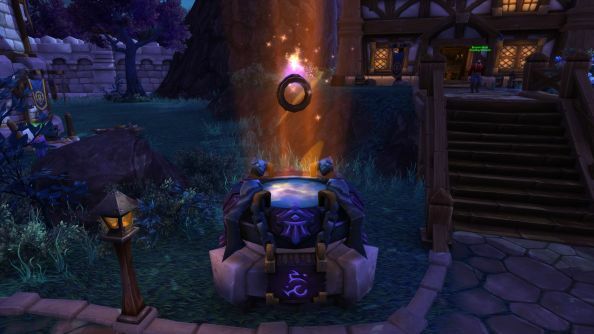 With patch 7.0 now out, players will be unable to begin their legendary questline to obtain their own ring, but those who have started it will be able to continue. 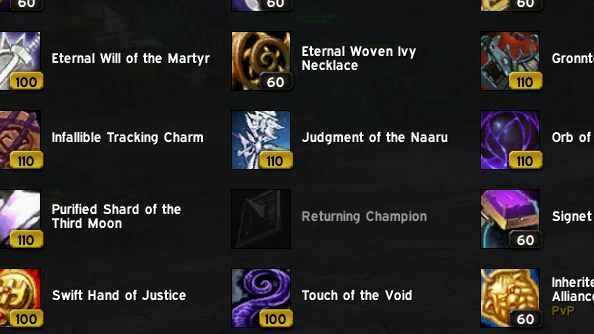 When Legion launches on August 30th, the quest will expire no matter what stage you’re on, effectively barring you from obtaining the ring for good. What does this mean? Well you need to finish it as fast as possible, which on average takes around 6-7 weeks – hope you’re nearly finished. It should be mentioned however that the ring — while useful in giving you an initial boost in leveling — will be quickly replaced once you hit level 110, especially since the powerful ability is nerfed once you hit that all important max level; essentially turning it into a flashy stat stick. Professions are getting a major overhaul in Legion. The equipped crafted item limit has been abolished, meaning dedicated crafters can dive headlong into making as much gear as they want. There are also countless quests associated around professions, which will have you travelling all over the Broken Isle in order to complete them. 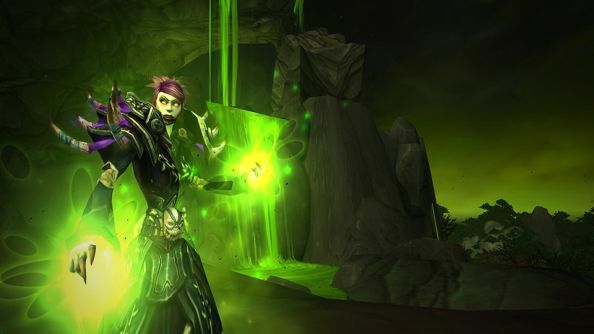 While you can gather and craft Legion specific nodes and recipes from any skill level, you’ll want to get your gathering and crafting professions to at least 100, so you can unlock their respective World Quests once you hit level 110. These quests will offer you some of the rarest crafting materials in the game giving you a distinct advantage. It’s also recommended that you pick up both a gathering and a crafting profession. While going double crafting is viable in Legion, you’ll find yourself more often starved of the rare and untradable Blood of Sargeras material than if you had a gathering profession to back you up. 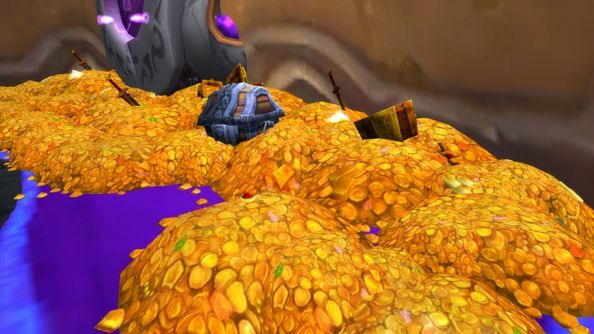 Everyone’s dreamt of having an endless amount of gold to spend within their favourite MMO. It can be a difficult thing to do well, often requiring a lot of time, dedication, and a sprinkle of luck. But the benefits of having a thick wallet come Legion are many: the biggest is being able to get a headstart on high item level gear very soon after launch. 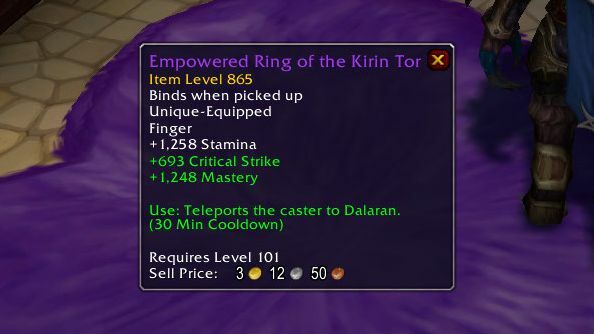 Currently in the Legion Beta, there’s an “Empowered Ring of the Kirin Tor” on sale at the jewelry vendor for the low, low price of 250,000 gold. What’s so special about this ring you might ask? Well for a start, it’s item level is equivalent of raid gear – somewhere between Normal and Heroic difficulty. Even better is that you can wear this ring from level 101, giving you a stupidly huge boost to your stats at the very beginning of the expansion. As for the icing on the cake, it also gives you another way to teleport to Dalaran every 30 minutes – something you’ll be doing often seeing as it’s the main city hub. Even with the most average gear from Warlords of Draenor, completing these old raids is a doddle. Each boss will net you 125 gold, as well as plenty of items to vendor off for even more. Doing all the raids will put between 8000-10,000 gold in your pockets per character on a weekly lockout; having plenty of alts can really accelerate this method. Just like the raids, the world boss of Tanaan Jungle, Supreme Lord Kazzak, is another weekly source of gold. 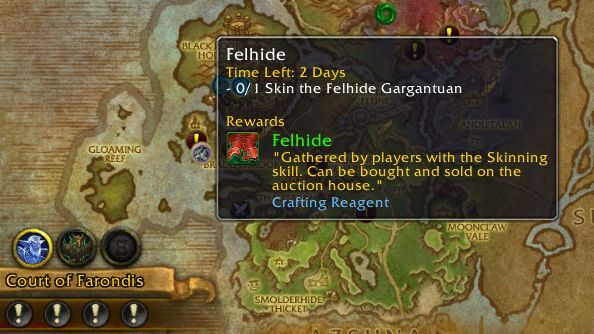 Defeating him will award you with a random amount (6-15) of Felblight – a precious and rare crafting material which can sell for a nice chunk of gold on the auction house. Have you taken a look inside your pet tab and/or bank? You could have pets and transmog items that are worth quite a bit of dosh. Of course, it depends on how well you’re willing to part with them, but some are worth upwards of 30,000 gold. Look out for interesting and cool looking items coming out of your Salvage Crates from your Garrison as well, as some of them are extremely rare. Legion is bringing with it a long awaited feature: the Wardrobe. This houses every unique item appearance you’ve collected, allowing you to free up vast amounts of bank and bag space. Now is a great time to make sure you’ve got everything you want from Warlords of Draenor, before the content-pocalypse that is a new expansion keeps you occupied at all times. Again, the Salvage Crates from your Garrison can be a great source of unique and rare transmogs. Also, you’ll need to manually equip any ‘bind on equip’ items from these crates to add them to your wardrobe, so you could be spending hours of your time if you have tons of them saved up. That’s what we’ve come up with, but do you have any lovely Legion tips to help your fellow WoW travellers? Drop them in the comments below!